When it comes to helping kids learn the value of community service, parent groups have plenty of meaningful ideas. 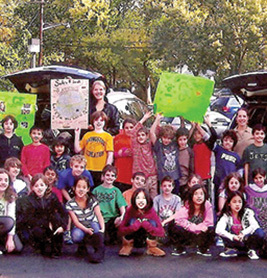 Each grade at Collins Elementary in Livingston, N.J., has a student-run community service project. For the 4th graders’ shoe collection program for the Soles4Souls organization, student “ambassadors” went to classrooms throughout the school to promote the program and encourage giving. In all, the students collected 963 pairs of shoes.